This year-end list is composed of The Best Selling & Most Popular albums released Between Jan. 1 through Dec. 2011. The Amount of Units Sold By The Albums As Well As Acceptance & Popularity Also Play A Part. All The Albums Listed Here Have Been Number One On the Billboard Album Chart At Some Point. However, Albums Like Rihanna’s “Talk That Talk”, Michael Bubles’ “Christmas” Album As Well As The Roots’ “Undun” Were Not Considered. Four The Record (Miranda Lambert), Own The Night (Lady Antebellum) As Well As Ambition (Wale) & Late Nights & Early Mornings (Marsha Ambrosius) And Bon Iver. Indie Music made a big showing this year, several lyricists plagued with label issues finally got their albums released. Veteran MCs made significant comebacks. While Conducting The Compilation of The List I Just Couldn’t Just Ignore The Great Music Provided By EPs Such As Bad Meets Evil: Welcome To Hell 2 (Eminem & Royce Da 5’9″) or mixtapes Such As House of Balloons (The Weeknd) ,Nolstagia/Ultra (Frank Ocean) & Section 80 (Kendrick Lamar). Indie Releases Like Tyler, The Creator’s Goblin, All 6’s & 7’s (Tech N9ne)– Sorry Guys, we’re waiting for that proper studio project. Artists With Record Label Issues Who Still Managed To Put Out Good Efforts Such As L.A.S.E.R.S (Lupe Fiasco), Grestest Story Never Told (Saigon) Get A Shout Out Here. Tha Carter IV is the ninth studio album by American rapper Lil Wayne. The fourth installment in Lil Wayne’s ‘Tha Carter‘ series isn’t exactly his greatest, but after having to wait an extra eight months while Weezy sat in a Rikers Island jail cell for a gun possession charge, it satiated wagging tongues. The anthemic lead single, ‘6 Foot 7 Foot,’ showed promise, but Wayne surprised fans, taking a turn from the usual money-loving and gun-slinging themes of his earlier tracks to his own take on love, especially on songs such as ‘How to Love,’ ‘How to Hate’ and ‘So Special.’ However, Songs Like ‘Blunt Blowin’, ‘John’ and ‘President Carter’ “6 Foot, 7 Foot” show that despite taking chances (and taking up skateboarding), The Old P***y Loving Weezy F Can Still Deliver When He Wants. Appearances on the album include Cory Gunz, Drake, T-Pain, Tech N9ne, Andre 3000, Rick Ross, John Legend, Bruno Mars, Birdman, Kevin Rudolf, Jadakiss, Bun B, Nas, Shyne, and Busta Rhymes. 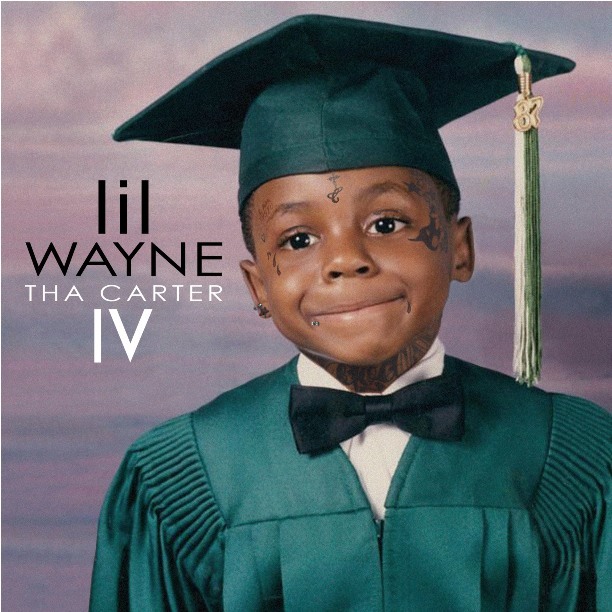 Tha Carter IV achieved first week sales of 964,000 copies in the United States and became Lil Wayne’s second album to top the US Billboard 200 in its first week. Critics felt it was a disappointment compared to his previous work. Nevertheless, The album provided a couple of hit singles and On November 16, 2011, the album was certified double platinum. “President Carter” as well as the performances of the several guests on the albums interludes. As of December 11, 2011, the album had sold 1,797,600 copies in the United States alone. The album featured several guest appearances, including McCall, Tyga, Lil Wayne, Busta Rhymes, Ludacris, Justin Bieber, Benny Benassi, Wiz Khalifa, The Game, Timbaland and Big Sean. The acronym of the title has two meanings, “Forgiving All My Enemies” and “Fans Are My Everything”. F.A.M.E. was nominated for Favorite Soul/R&B Album at the 2011 American Music Awards. On November 27, 2011, it won Album of the Year at the 2011 Soul Train Music Awards. F.A.M.E. 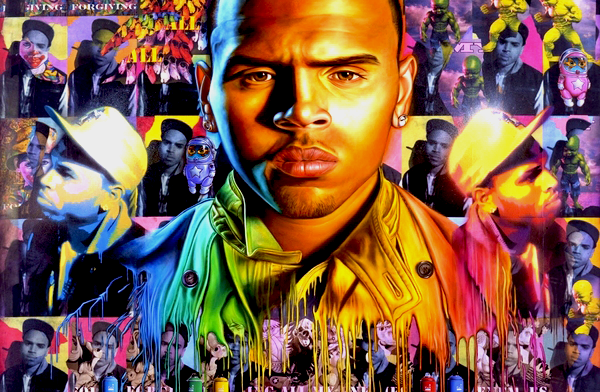 has earned Brown three Grammy Award nominations, including Best R&B Album. while “Look at Me Now” is nominated for Best Rap Performance and Best Rap Song. Mylo Xyloto is the fifth studio album by British (alternative) rock band Coldplay. Mylo Xyloto is a concept album, and its contents follows a story throughout. According to Chris Martin (the bands lead singer), the album is “based on a love story with a happy ending,” Internationally, the album charted at number one in seventeen countries. In the United Kingdom, Mylo Xyloto became their fifth album to debut at number one. The album became the group’s third to debut at number one on the US Billboard 200. “Paradise” and “Every Teardrop Is a Waterfall” received a total of three Grammy Award nominations. The album has been certified platinum in the US and has sold over 2.5 million copies worldwide to date. The album is J. Cole’s first studio release, following three successful mixtapes (‘The Come Up,’ ‘The Warm Up’ and ‘Friday Night Lights’). Production was handled mainly by Cole himself, with some production from high-profile producer No I.D..
Jay-Z’s Roc Nation protégé came out punching on his hotly anticipated debut, Taking No Prisoners and Speaking His Mind Out. Two years in the making, with huge media blitz fueling the hype created by Cole’s preceding successful mixtapes. The “Can’t Get Enough” Rapper delivered under pressure and debuted atop both the Billboard 200 and Hip-Hop/R&B charts. “Cole World: Sideline Story” Is Not Your Average Rap Record and it Features Guests Such as Jay-Z, Trey Songz, Drake As Well As (a singing) Missy Elliott. The album was one of the most anticipated releases of 2011 due to the sharp rise in Cole’s popularity and mainstream fan base. Cole’s lyrics perhaps most strikingly deals with issues such as abortion and the consequences of growing up in a fatherless household. However, these themes are incorporated alongside more introspective issues such as relationships, family problems, fame and attempting to be successful – an area which very much links in with the subtitle of the album ‘The Sideline Story’. Upon its release, the album was generally well received by critics, who praised the wholesomeness of the album. J. Cole stated that the reason for the subtitle “The Sideline Story” is because he feels being signed to Jay-Z is like someone being on the sidelines for their favorite basketball team, and they’re just waiting until the coach puts them in. Despite Huge Expectations, Cole World: The Sideline Story has more bright spots than lowlights and serves as a solid debut..”. 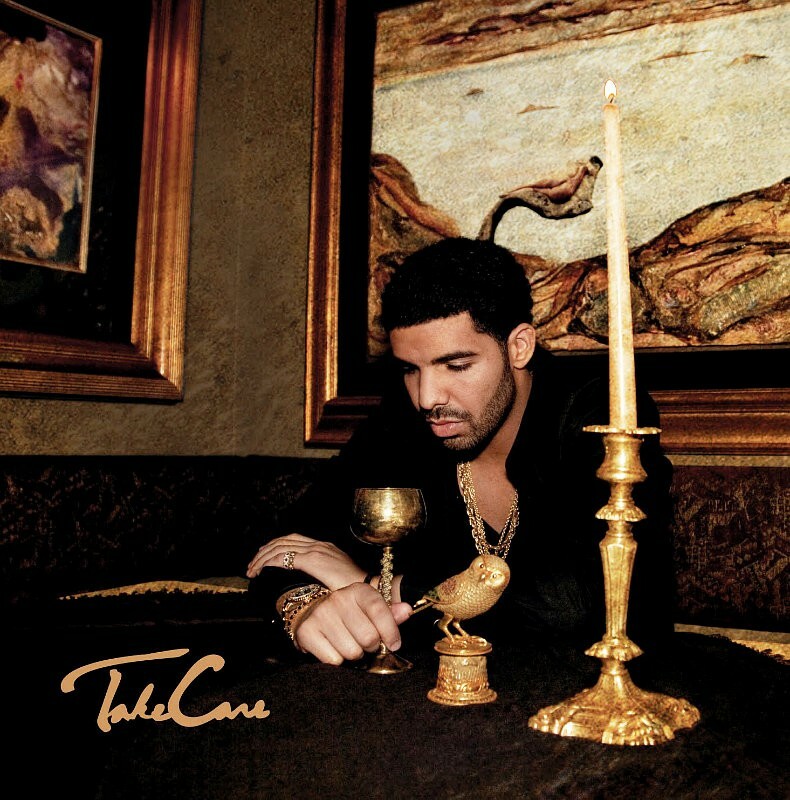 Take Care is the follow-up to Drake’s 2010 debut album Thank Me Later. If Drake’s 2010 debut “Thank Me Later” was the sound of a man decisively snatching fame and whole lot of money from a mountain of hype, then his luxurious sophomore album “Take Care,” finds Drake holding his new fortune in his hand, unsure of what to do with it and where to go from here . Drake’s lyrics mostly eschew boastful raps for introspective lyrics that deal with topics such as failed romances, relationship with friends and family, growing wealth and fame, concerns about leading a hollow life, and despondency. the rhymer smooths things out vocally on his sophomore effort, ditching rap totally on a couple of songs. with most tracks favoring mellow, drowned-out beats than anything anthemic. The overall effect is a beautiful rap&B record that can be played continuously. ‘Take Care’ almost sounds like an indie effort. It seems hanging out with fellow Toronto soft singer The Weeknd (who shows up on ‘Crew Love’) has paid off for Drizzy. Drake Continued His creative partnership with record producer and audio engineer Noah “40” Shebib, who had first introduced his distinct sound on Drake’s breakthrough mixtape So Far Gone. Noah “40” Shebib contributed to most of the album’s production .Although he is credited as producer for only eight of the album’s 17 songs, Shebib also served as audio engineer and mix engineer on the album. This Led To The Album Having A More Cohesive Sound Unlike Its Predecessor “Thank Me Later” Critics view that the album’s mood and style are modelled after Kanye West’s 2008 album 808s & Heartbreak. On Take Care, Drake Successfully mixed a nice-guy vulnerability with wounded narcissism. In the future, an album may become more commonplace, today its radical. The Biggest & Best Collaboration of 2011! Without A Doubt!! The EP-turned-LP Collaboration Between The Biggest Rapper Alive & The Most Creative Rapper Alive Could Have Been Such A Major Flop, Instead It Exceeded Out Expectations . It Was Recorded Amid Heavy Security & Secrecy But Fans Went ‘H.A.M.’ for the album as soon as it was released. “N***as in Paris” was 2011’s unstoppable banger, “Otis” returned Mr. Redding to the Hot 100, and “New Day” let our heroes wax poetic about their unborn sons (we and the RZA connect, too). Jay-Z and West’s braggadocio lyrics on the album exhibit themes of opulence, fame, materialism, power, and the burdens of success, as well as political and socioeconomic context. The album debuted at number one on the US Billboard 200 chart. critics commended its production and the rappers’ performances but criticized the subject matter and the album’s cohesiveness. As of December 2011, Watch The Throne has sold excess of 1,144,000 copies in the United States. Originally intended to be a five-track EP by Jay-Z and West, Watch the Throne was revealed by West to be a full-length album and it features guest artists such as Beyoncé, Frank Ocean (twice! O_O), and Mr Hudson. 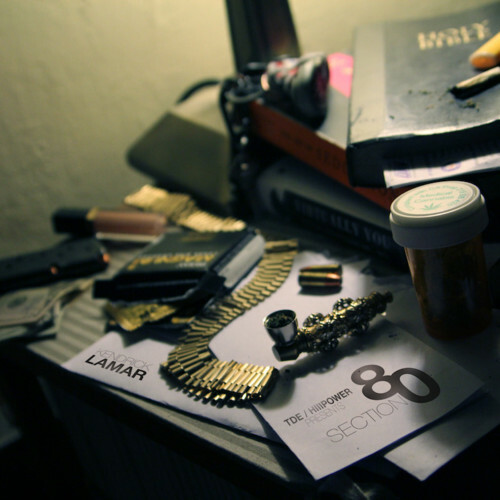 The Production On the album Is Similar To That of The Critically Acclaimed. “My Beautiful Sweet Dark Fantasy. Both co-kings flaunt their outrageous arrogance even by the standards of a genre where braggadocio is the main event. Watch The Throne became Jay-Z’s 12th number-one album (Most Number One Albums of All Time By Any Artist) and West’s 5th number-one album in the US. Watch the Throne was certified platinum by the Recording Industry Association of America (RIAA). The album was nominated for several. (4) Grammy Awards inclucding Best Rap Album and Best Recording Package. The song “Otis” was nominated for Grammy Awards for Best Rap Performance and Best Rap Song. It is an album of the moment (a point underlined by the presence of Frank Ocean on two tracks) yet it has the substance to endure and stand the test of time and become a classic. 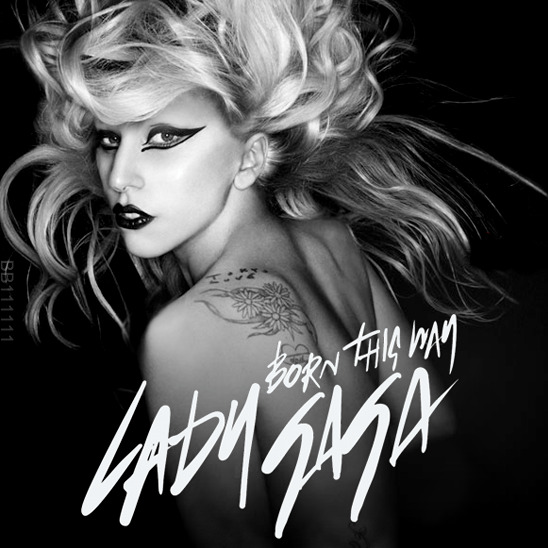 Born This Way is the second full-length studio album (and third major release) by American recording artist Lady Gaga. It is a follow-up to her internationally-successful albums The Fame (2008) and The Fame Monster (2009). The album experiments with genres like opera, heavy metal, disco and rock and roll while its lyrical topics include sexuality, religion, freedom, feminism, and individualism. Born This Way received three Grammy Award nominations, including her third consecutive nomination for Album of the Year. Internationally successful, Born This Way debuted in the top five spots in every major market, including the Billboard 200. In the United States, Born This Way sold 1.108 million copies in its first week, the largest first week album sales in five years. As of October 2011, worldwide sales of the album have exceeded 8 million copies. The album includes references to several religious figures of Christianity, notably Judas Iscariot, Mary Magdalene, and Jesus of Nazereth. Several songs on the album give reference to multiple social topics, including the Arizona immigration law. Messages of sexuality and feminism are among the most distinguishable components of Born This Way. Other themes referenced in the album include individualism, equality, and freedom. The album received Grammy Award nominations for the 54th Grammy Awards in 2012, including Album of the Year, Best Pop Album and Best Pop Solo Performance (for her song “You and I”). Being her third consecutive Grammy nomination for Album of the Year, Gaga is the first artist since British rock band The Beatles to receive three consecutive nominations in the category. Additionally, the album was nominated in the category of Favorite Pop/Rock Album at the American Music Awards of 2011, losing it, however, to Adele’s 21. Several religious groups have condemned the album for its incorporation of several religious icons of Christianity and its stance on sexuality. Born This Way was Gaga’s first number-one album and the highest first-week total since 50 Cent’s The Massacre (2005) sold 1,141,000 in its first week. Gaga is the fifth woman to sell one million copies in a week, after Whitney Houston (The Bodyguard Soundtrack, 1992), Britney Spears (Oops!…I Did It Again, 2000), Norah Jones (Feels Like Home, 2004), and Taylor Swift (Speak Now, 2010).662,000 digital sales, the largest in SoundScan history. The digital downloads accounted for 60 percent of Born This Way⁠’s first week total. The album also became the eighth best-selling digital album in United States history after its first week of sales. Born This Way is the second best selling album of the year in the United States, with sales of 2,000,000 copies. The album sold 2.5 million copies worldwide on its first week of release. As of October 2011, worldwide sales of Born This Way exceed 8 million copies. Beyonce’s Fourth Studio Album is the first release by Knowles since separating professionally with father and manager, Mathew, in March 2011. However, When 4’s First Single ‘Run the World (Girls), was released, fans and critics geared for a dud album from the B in R & B, The Single which entered the charts at No. 23 and then fell to No. 76, marked the first time a leading single of a beyonce album won’t debut in the top 10 (Double digits aren’t exactly what you’d expect to see in Queen B’s court) but the diva struck back, releasing follow- up singles and their accompanying videos like ‘Love on Top,’ ‘Countdown’ and ‘Party.’ While ‘4’ lacks the same adrenaline as its predecessor ‘I Am … Sasha Fierce,’ it’s an album with eclectic songs that when looking back years from now, will undoubtedly make her ‘Best of’ compilations. The Stylistics, Lauryn Hill, Stevie Wonder, and Michael Jackson. When speaking about her inspiration by Kuti, she said she takes a major inspiration on 4 with drums and horns and “how everything was on the one”. The album was also inspired by ’90s R&B. Knowles also said she discovered Frank Ocean (who guests on the album) through Jay Z. “I noticed his tone, his arrangements, and his storytelling. I immediately reached out to him—literally the next morning. I asked him to fly to New York and work on my record”. Beyonce submitted 72 songs to her label in preparation for the album’s release. 4 was nominated for Favorite Soul/R&B Album at the 2011 American Music Awards and Album of the Year at the 2011 Soul Train Music Awards. It is also nominated for Album of the Year at the 38th People’s Choice Awards and Best Album at the 2011 Virgin Media Music Awards. the album was named after the age of the singer at the time of its production. With its universal theme of all-consuming heartbreak (andthe emotional wound-licking that inevitably must follow said heartbreak), the polished album transcended the pop world and touched just about everyone who gave it a shot. Led by singles “Rolling in the Deep” and “Someone Like You,” “21” showcased not only the emotional songwriting of Adele Atkins but also the British songstress’ incredible vocal range. Released in January (i.e., the music industry dead zone known as the first quarter), “21” did not fade by mid-year; nay, the album — and Adele — only continued to increase in as 2011 moved forward, despite releases from Lady Gaga, Rihanna and other pop divas. The album was met with general critical acclaim for its vintage authenticity, lyrical depth. 21 debuted at number one in the United Kingdom & Spent 18-weeks atop the UK Albums Chart. The album also debuted at No.1 on the U.S. Billboard 200 chart, and peaked at number one in a total of 24 countries. 21 surpassed many domestic and international chart records following its release, and appeared in the 2011 edition of the Guinness World Records. The album also spent 13 weeks atop the U.S. Billboard 200, 23 weeks atop the Australian ARIA Albums Chart, and set an all-time record of 26 weeks at number one in New Zealand and 29 weeks in Ireland. As of December, worldwide sales for 21 are around 15 million copies. The lead single “Rolling in the Deep” became the year’s best selling song at over five million digital copies sold. “Someone Like You” It was certified Platinum by the BPI on 1 April 2011. As of October 2011, “Someone Like You” is the biggest selling single of 2011 in the UK, having sold 1 million copies by July 2011. 21 shares thematic similarities with Amy Winehouse’s Back to Black song writing: “Almost every song oozes pain, sadness and anger”￼￼. No Doubt, The Death of The Rehab Singer Also Influenced The Acceptence of Adele By The Whole World. The album was also nominated for the 2011 Barclaycard Mercury Prize. In November 2011, Adele won three American Music Awards including Favorite Pop/Rock Album for 21. On 30 November Adele received Grammy Awards nominations for Album of the Year and Best Pop Vocal Album for 21, while “Rolling in the Deep” was nominated for Record and Song of the Year, as well as Best Music Video, Short Form; “Someone Like You” was also nominated for Best Pop Solo Performance. As of 17 December 2011, 21 has been certified fourteen-times platinum by the British Phonographic Industry (BPI). It also became the most downloaded album in UK history. As of December 2011, 21 has sold over 3.4 million copies in the UK, and became the biggest-selling album of the 21st century, overtaking Amy Winehouse’s Back to Black. It also became the 10th biggest-selling album of all time in the UK. 21 Was At the top five (Billboard 200) for thirty nine weeks, outlasting all albums released in the U.S. in 2011. 21 is the first album to spend as many weeks in the top five since Whitney Houston’s The Bodyguard soundtrack spent thirty weeks in the top five between 1991 and 1992.the only 2011 release to sell over 2 million copies. It is also the best-selling digital album of all time in the U.S., selling 1.02 million copies. American R&B artist Beyoncé Knowles cited Adele among the influences for her latest album 4. In addition to the numerical titular reference, Knowles’ album also showcased an understated and more soulful side that contrasted with her more up-tempo, aggressive side. 21 was certified platinum or higher in more than 15 counties including US & UK. The Singer, Real Name, Adele Adkins was recently been named Billboard’s Artist of the Year. She is currently recovering from throat surgery said she may not release a new CD for a couple years. She sat atop the music world this year with the number-one Single, number-one Video and, unless something miraculous takes place in the next few days, the number-one Album. “21” is on pace to be the the first album to sell five million copies in 12 months since Usher’s “Confessions” in 2004. This is really a smart blog. I mean it. You’ve got so a lot knowledge about this issue, and so a lot passion. You also know the way to make folks rally behind it, clearly from the responses. Youve got a design here thats not too flashy, but makes a statement as big as what youre saying. Great job, indeed. You post interesting articles here. Your page deserves much bigger audience.